Local Woodland startup wins $10,000 to invest in their company. 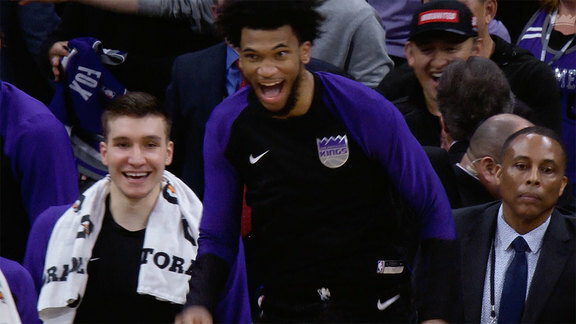 Last night, as the Kings took on the Cleveland Cavaliers, the team celebrated the fourth annual Tech Night, crowning Japa Inc. as the 2019 Capitalize winner. Pitch videos, created with the help of Haney Biz Marketing, were shown in-game on VSP Skeyeview as the Capitalize finalists competed for last-minute fan votes. Voting, via Twitter, began on March 25 and concluded during halftime of the game. The fan vote, combined with judges’ votes, declared Japa, Inc. as the winner for their innovative parking inventory management system. Kings Owner and Chairman Vivek Ranadivé and City of Sacramento Chief Innovation Officer Louis Stewart presented Japa Inc. CEO & Co-Founder Mathew Magno with the grand prize check of $10,000. 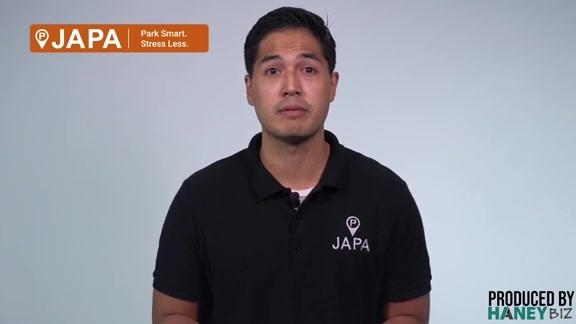 Japa, Inc., based in Woodland, California, is a leading smart parking company delivering data and advanced analytics to solve parking issues. Japa’s pioneering technology makes the parking experience easier for customers, while making corporate campuses and cities more efficient. Japa helps cities and universities further enhance their Smart Campus or Smart City initiatives. Their vision is simple – to solve parking and make smart cities a reality. This year’s annual crowd-sourced startup competition, Capitalize, powered by the Sacramento Urban Technology Lab, saw innovative startups apply for the opportunity to launch their company to a global audience. The competitors were narrowed down to a group of 16 and received additional resources – a marketing and business development pitch workshop and coaching session –to prepare for a presentation that determined the eight semi-finalists. These eight companies competed in a one-day pitch contest for a judging panel who consisted of Sacramento executives, innovators and creative thinkers. The judges then selected the finalists to create pitch videos and compete for fan votes. To learn more about Japa, Inc. and their next steps, visit ParkJapa.com.